"If you become silent after your laughter, one day you will hear God also laughing, you will hear the whole existence laughing with you even the trees and stones and stars." "Sounds of laughter shades of love are." 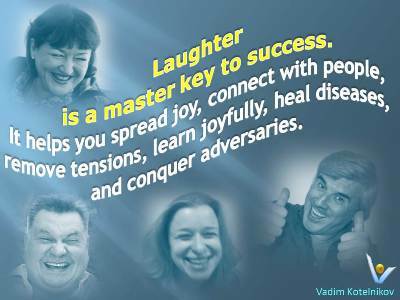 "Laughter is man's most distinctive emotional expression. Man shares the capacity for love and hate, anger and fear, loyalty and grief, with other living creatures. 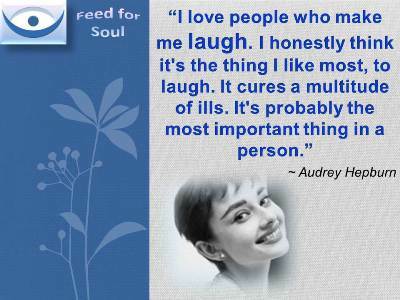 But humour, which has an intellectual as well as an emotional element belongs to man." "Grudges are a waste of perfect happiness. Laugh when you can, apologize when you should, and let go of what you can't change." 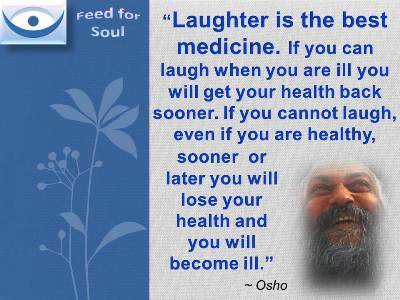 "A day without laughter is a day wasted... Laughter is the tonic, the relief, the surcease for pain."